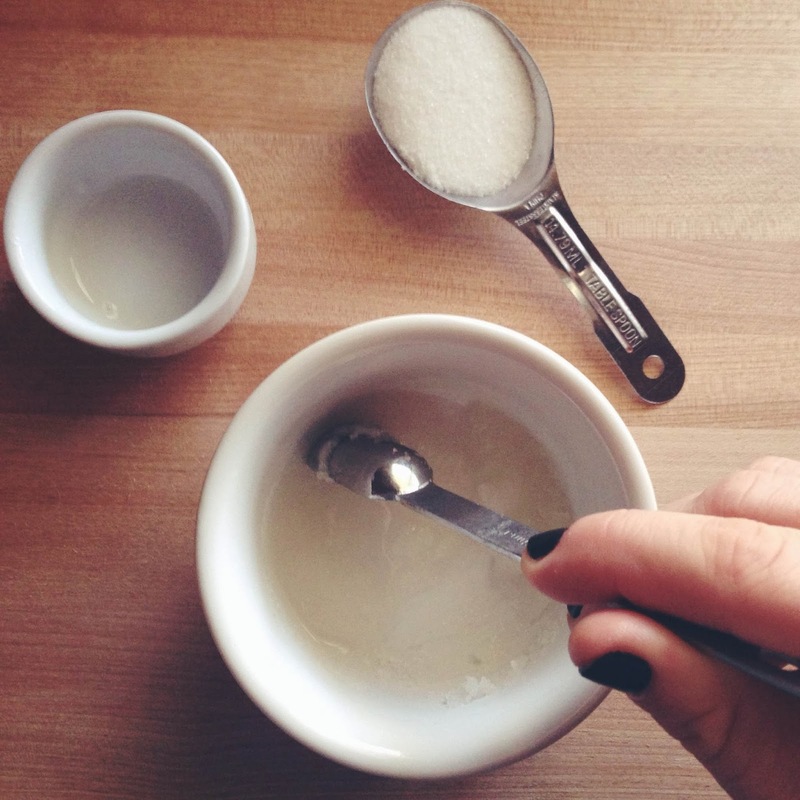 Chasing Davies: Lip Health & Beauty + DIY Lip Scrub! 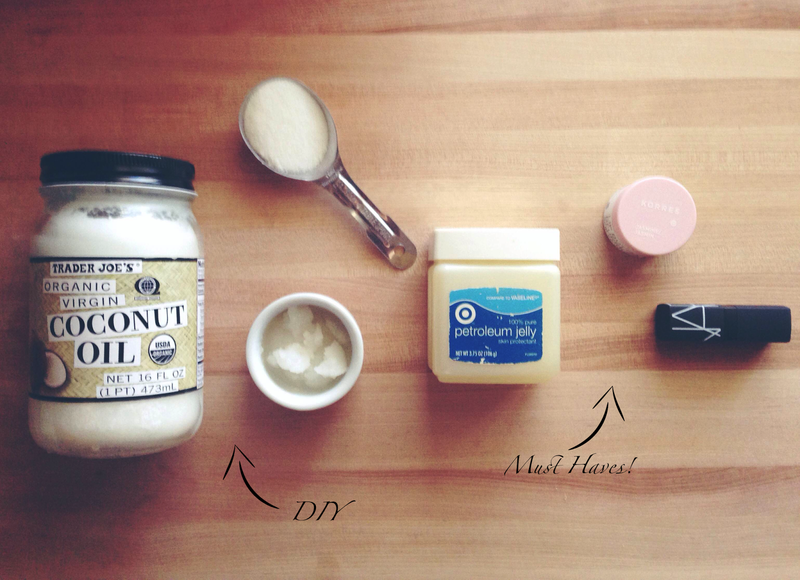 Lip Health & Beauty + DIY Lip Scrub! During these cold and dry winter months, it's not just my skin that takes a beating, but my lips get so dry and flaky. As a girl that loves to wear lip color, rough and pealing lips don't bode well for lipstick application. 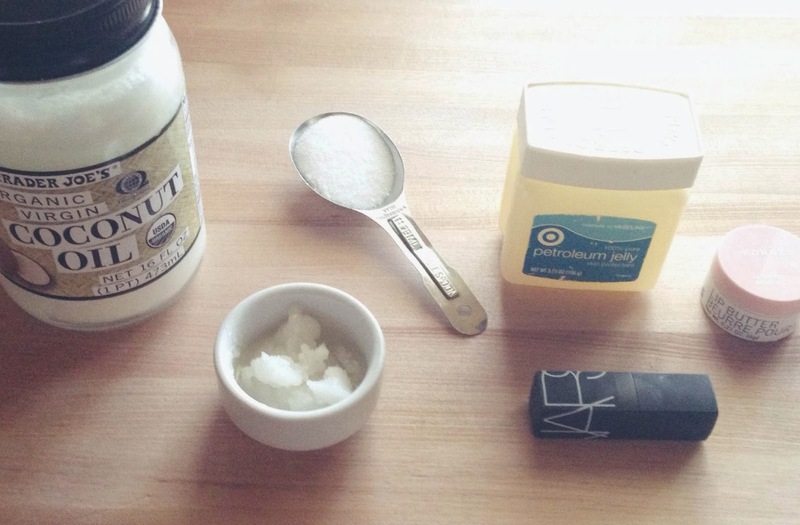 I originally was eying Fresh's Sugar Lips Polish that exfoliates your lips, but than got to thinking that instead of spending the $22 for that small jar, I'd make my own with only TWO ingredients and ones I already have. 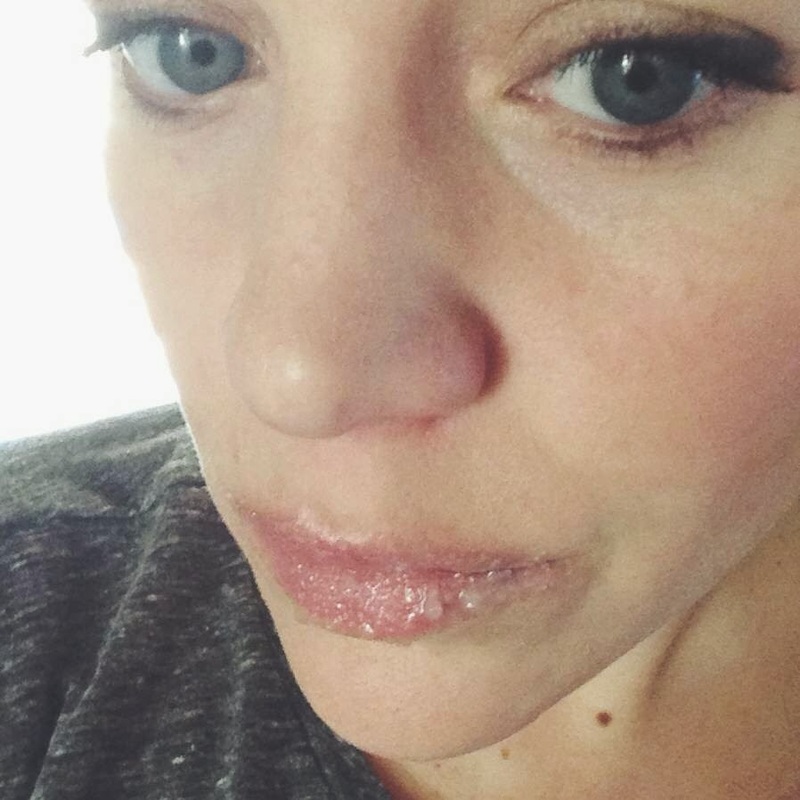 So here's a simple DIY for you to try exfoliating your own dry lips + a few other lip health and beauty must haves to get you through winter and keep your lips looking beautiful! ^Your two ingredients! 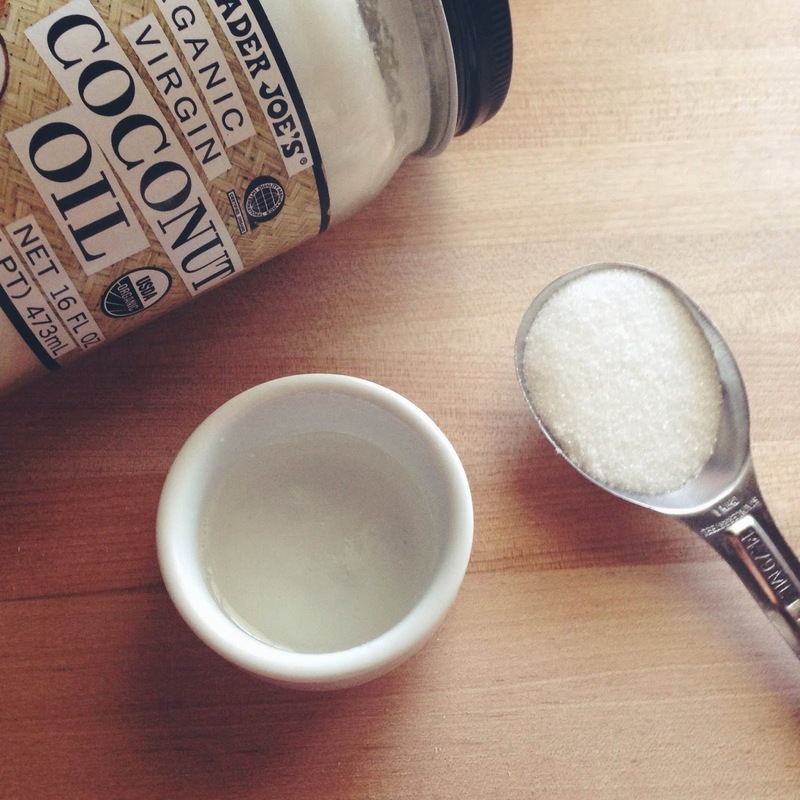 Coconut oil nourishes and hydrates, while the sugar exfoliates. Plus, edible for when you accidentally get some in your mouth. ^After warming up the coconut oil, I mixed equal parts (1 tablespoon) of each and ended up with at least 3 applications. ^And then just coat on. Rub into your lips, working into the especially dry and flaky areas. Let sit on your lips for about 10 minutes and then rinse off with warm water. Yum - er - I mean, Tada! After exfoliating my lips at night, I then coat Vaseline all over my lips to trap in the moisture while I sleep (or these days, nurse, rock a baby, try to sleep, change a diaper and then repeat). If I do the scrub treatment in the morning/day (great to do before you know you'll be applying lipstick), afterwards I use Korres Lip Butter in Jasmine for a really soft feel and a pretty light pink shade. For really making my lips pop, one of my go-to lipstick brands is NARS. Their rich and bold colors go on smooth and feel super moisturizing, instead of dry, like some lipsticks do. My favorite colors are Heat Wave (an orangy-red, I'm wearing it here) and Jungle Red (a classic red, I just bought this one - you'll see it on me soon!). I'll soon have a more complete post on my favorite lipsticks (with all pricing options, including my favorite drug store ones) soon!